Gaza and Operation Protective Edge: Ceasefire at Long Last??? Tayyip Erdoğan: Talking Tough, Walking Lame!!! ‘Turkish Prime Minister Tayyip Erdogan says Israel will be brought into account for “tyranny” and justice will be served. Gavino Garay reports (3 August 2014)’. Or, one could say, like any good Muslim, Tayyip Erdoğan is sure of divine retribution, promising his believers that adopting a wait-and-see policy is the only thing one can do in order not to detract the higher power from delivering the goods . . . In the end, talking tough while walking lame is what the self-proclaimed “darling” of the Arab street (on account of his One Minute stunt at Davos) does best . . . 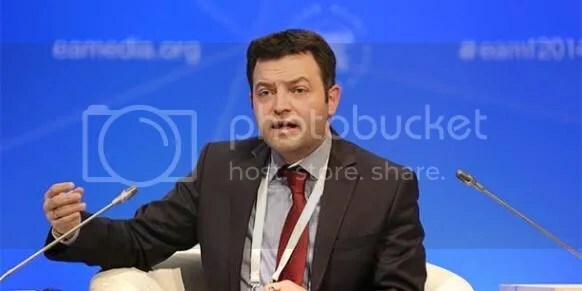 Associate Professor Savaş Genç from the International Relations Department of the Fatih University in Istanbul asks wryly “[w]hat cards does Ankara have to play to reach a peaceful solution in Gaza? Did Ankara threaten not to allow Israeli gas to pass through Turkey? Did it say that it’s going to cut Turkey’s trade ties with Israel? 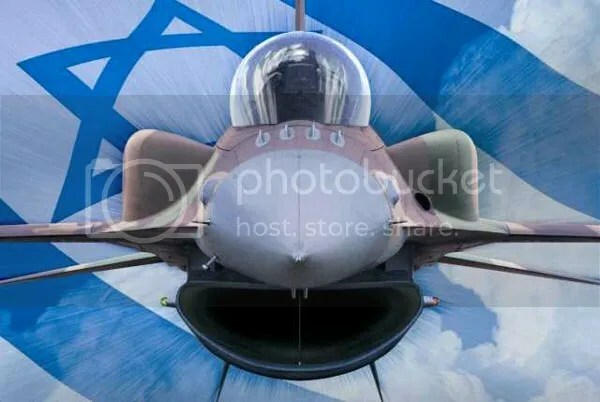 Or did Ankara say that Turkey will end its military relationship with Israel? If not, how is Ankara going to be an effective negotiator? . . . Mr. Erdoğan is very skillful in transforming the pain of others into votes. 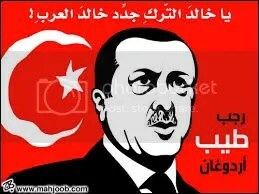 The Turkish public perceives Erdoğan as the hero of the Egyptians and Syrians. However, all Erdoğan is doing is playing politics. Be aware that Ankara has paid no attention at all to the Ukraine crisis so as not to disturb Russia and, thus, has not heard a word of complaint from the Crimean Tatars [either]”. “Erdoğan uses Gaza as domestic policy instrument” Today’s Zaman (03 August 2014). https://www.todayszaman.com/monday-talk_erdogan-uses-gaza-as-domestic-policy-instrument_354488.html. 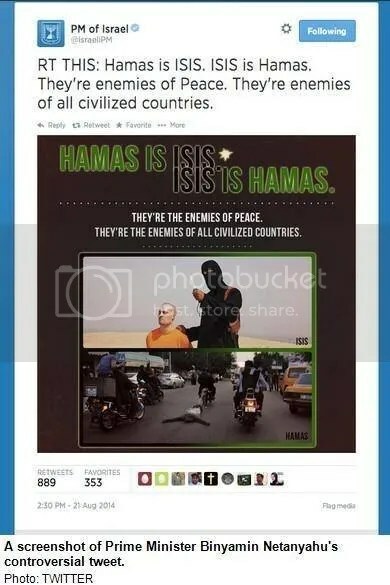 ‘The IDF (Israeli Defense Forces) began their current operation against Hamas after three teens were kidnapped and killed. 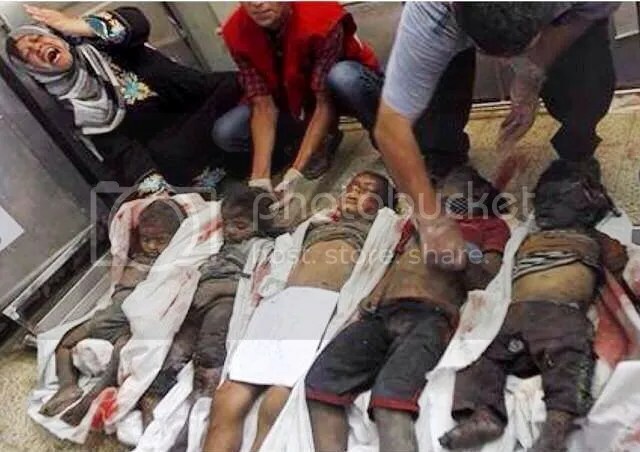 The military op has already claimed over 1,500 civilian lives in Gaza. The fragile humanitarian ceasefires end within minutes of creation pushing the region into further bloodshed (3 August 2014)’. 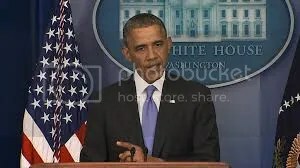 ‘President Barack Obama announced new sanctions on Russian companies after he said the Russia had failed to de-escalate the situation in Ukraine (16 July 2014)’. The pan-Arab yet strangely “neutral” Al Jazeera speaks to Electronic Intifada‘s Ali Abunimah (20 November 2012). Now that a ceasefire has been agreed upon, on the Inter Press Service or IPS the Electronic Intifada’s Mohammed Omer reports from Gaza City that “Israel says it has hit 1,450 targets in the Gaza Strip since assassinating Hamas’ most senior military leader in a missile strike on 14 November. The eight-day attack killed 162 Palestinians, including 42 children (a number of them still babies), 11 women and 18 elderly people, the oldest 82 years of age. In all 1,222 have so far been listed as injured, more than half of them women and children. Rockets fired from Gaza have killed five Israelis. Israel’s air strikes have hit several locations in the Gaza Strip. The targets have included civilians’ houses, apartment blocks, most of the security units, the ministry of interior office, the prime minister’s office, police stations, roads and bridges connecting camps, naval forces, and journalists’ offices and media centers. Three journalists have been killed, and eight injured. Israeli leaflets were dropped telling the population to leave their homes all over the northern Gaza Strip: Beit Lahiya, Beit Hanoun, Atatra and the surrounding locations. Women and children have been heading to schools run by the UN agency for Palestine refugees (UNRWA) for refuge after fleeing the northern Gaza Strip. Refugees are sleeping on the floor in these buildings”. 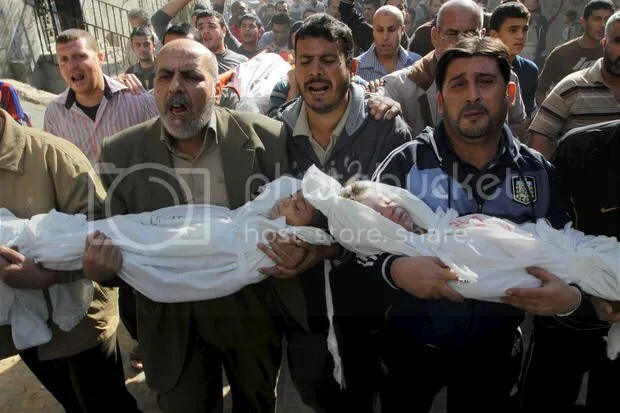 Mohammed Omer, “Father and two sons among 162 slain by Israel in Gaza” IPS (22 November 2012). The George and Martha Kellner Chair in South Asian History and Professor of International Studies at Trinity College in Hartford, Connecticut (, USA) ‘Vijay Prashad: Egypt brokers Gaza crisis working with US; Palestinians won’t give up their struggle; There will be no accountability for Israel’s illegal war (21 Nov 2012)’. Last Thursday, 14 November, Vijay Prashad wrote that “on 14 November, the United Nations Security Council met to discuss Israel’s bombardment of Gaza. As elections in Israel are on the horizon, the Israeli Defense Force conducted an extra-judicial assassination of Hamas’ Ahmad Jabari, who only hours beforehand had received a draft of a permanent truce agreement with Israel (according to Nir Hasson at Haaretz). Jabari’s assassination was followed by a barrage by Israeli aircraft and warships. A few rockets were fired from Gaza, but these have had a negligible impact”. Prashad goes on that the “war on Gaza is not between two armed forces, even matched, each flying the flag of a country; it is a war between a major military power and a people that it has occupied, whose means of warfare used to be the suicide bomber and has now devolved to the erratic rockets (propelled by sugar and potassium nitrate, a fertilizer, and made deadly by TNT and urea nitrate, another fertilizer). Most of the rockets fired over the past two days have been intercepted by Israel’s sophisticated Iron Dome system. No such luck for the Palestinians, who have faced US-designed F16 jetfighters and Apache helicopters and have no defensive systems”. Now that the Egypt-brokered ceasefire is in place, it appears hard to determine who the real winners are . 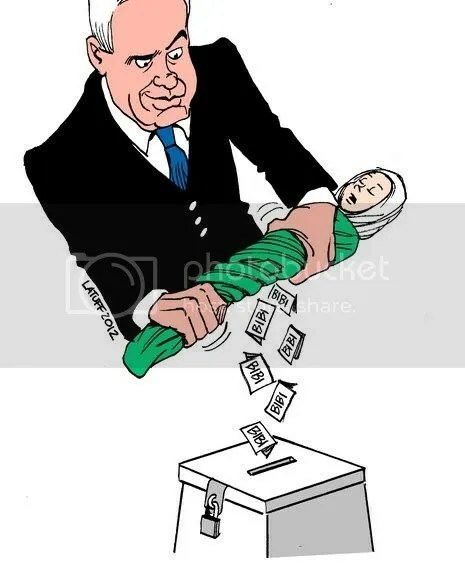 . . and the fact that this whole thing was started as part of Bibi’s pre-election drive to galavanise Israeli voters is really quite a disgusting proposition. But, it seems not just Israeli election politics will apparently benefit from this 8-day bombardment in the end . . .
 Vijay Prasad, “The Agonies of Susan Rice: Gaza and the Negroponte Doctrine” Jadalyiya (14 November 2012). http://www.jadaliyya.com/pages/index/8419/the-agonies-of-susan-rice_gaza-and-the-negroponte-. Vijay Prasad, “The Agonies of Susan Rice: Gaza and the Negroponte Doctrine”.